A critical scene from Red Cliff where Xiao Qiao shows Cao Cao how to appreciate the tea liquor and the aroma in the tea ceremony. Notice her gracefulness and poise. There’s a great movie scene I want to share with you today. It comes from ‘Red Cliff Part II’, which was directed by John Woo of ‘Mission Impossible’, ‘Faceoff’, ‘Wedding Banquet’ and ‘Brokeback Mountain’ fame, and released in 2009. ‘Red Cliff Part II’ is based on a real, historical battle which occurred in A.D. 209 during the period described in the classic novel ‘Romance of the Three Kingdoms’. The battle was between Prime Minister Cao Cao (曹操) on one side and General Zhou Yu (周瑜) and his strategist Zhu Ge Liang, the most accomplished strategist of the era, on the other side. The film beautifully portrays the conflict between tyranny and freedom through the contrast between the aesthetic values of the combatants. Cao Cao is conceited and has a somewhat crass taste in entertainment, while Zhou Yu and Zhu Ge Liang have elegant taste in music and they delight in the mysteries of nature. The two armies are encamped on either side of the Yangtze River. Cao Cao enjoys numerical superiority while his adversaries are fighting on their home turf. Cao Cao has the naval expertise. Zhou Yu is running out of supplies. Zhuo Yu relies on the brilliance of Zhu Ge Liang who comes up with the idea of setting fire to Cao Cao’s wooden naval ships by shooting flaming arrows at them. However, wind direction is crucial. (As Sun Tzu wrote in ‘The Art of War’, “Never attack from leeward, and when you start a fire be windward of it!” Incidentally, both parts of ‘Red Cliff’ are full of Sun Tzu’s ideas, such as “Use straw boats to borrow arrows!”) On the eve of battle the wind is blowing towards Zhuo Yu’s camp, but Zhu Ge Liang calculates precisely in how many hours it will turn towards Cao Cao’s army. That will be the right time to deploy the plan. In one scene Zhou Yu’s beautiful wife Xiao Qiao (小乔) whom Cao Cao has admired from young, courageously crosses over to Cao Cao’s camp in an attempt to trick him into delaying launching his attack until the wind has turned. 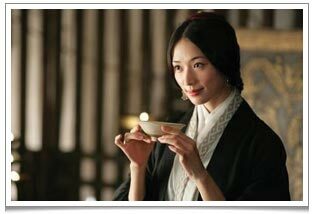 Against his generals’ advice Cao Cao greets her and decides to join her in a tea ceremony. A crucial scene from the movie Red Cliff (Part II) where the tea ceremony is used to delay the deployment of naval ships. The tea ceremony in this scene depicts the boiling of water and tea as described in Chapter 5 of Lu Yu’s tea classic. XQ: Please don’t rush! First admire the colour of the liquor, then take in the aroma of the tea! CC: What is the most difficult thing about the boiling of tea? 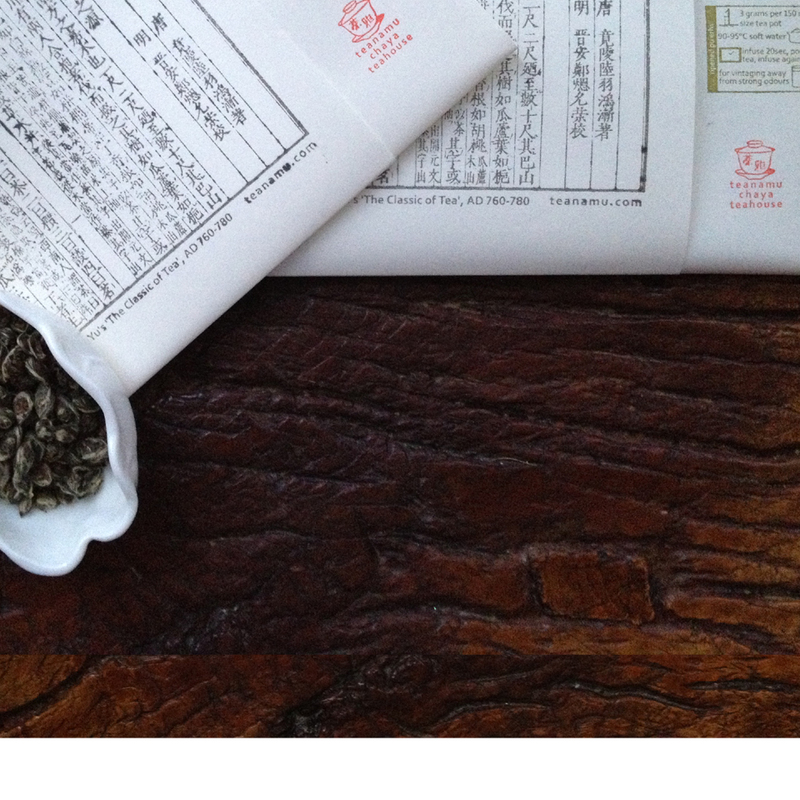 XQ: The tea leaves, the heat of the fire, the quality of the water and the utensils all affect the quality of the tea brew. XQ: (rushed voice) The most difficult thing is the boiling of water. CC: (puzzled) Boiling of water? XQ: When the water boils with small fish eyes and a light sound, it is called “yi fei”. XQ: When there are strings of pearls along the side of the teapot, it’s called “er fei”. This is the best stage at which to consume the tea. XQ: When the water in the pot is like the rough seas, then the water is “old” and is not suitable for drinking. CC: It’s overflowing, it’s overflowing! XQ: Prime Minister, you are just like this overflowed ‘cha wan’. You have always been a ‘full’ person with no room for what other people have to say. You arrived at Red Cliff with a heart so packed full: but I tell you, there will be someone who will empty your heart! Xiao Qiao was able to delay Cao Cao just long enough for the wind to change direction. Zhou Yu was then able to deploy boats to shoot fiery arrows at Cao Cao’s magnificent wooden naval ships and destroy them all. For me, while it’s a romanticised version of true historical events, the film is about the triumph of traditional values, good taste and a proper understanding of nature, all of which essentially revolve around the tea ceremony scene. Cao Cao is vulgar and does not appreciate what is fine and beautiful, and ultimately he is defeated because of these spiritual, cultural and intellectual deficiencies. Through the glorious, soft cinematography, we get to savour beauty in music, nature, body language, art and tea ritual and as an audience become elevated and enriched. Gorgeous website. May all of your tea moments be blessed. Thank you reverend for the compliments and blessings. I hope to visit you in Ashanti very soon!